If you're in between sizes, we recommend ordering up a cup size. 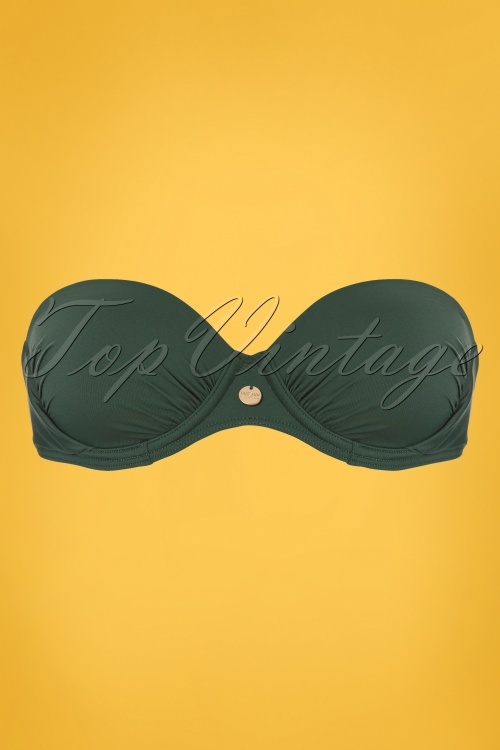 Make a splash in this 50s Multiway Bikini Top in Olive Green! Her name says it all... MULTIWAY indeed! You can wear the bikini top in 4 ways: halter with extra shoulder straps, halter without extra shoulder straps, only shoulder straps or strapless. 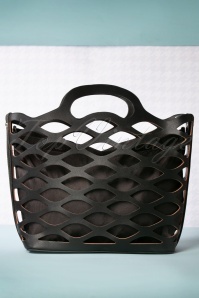 You'll never get bored of this beauty ;-) She features molded underwired cups giving extra support and ensuring a worry-free dip. 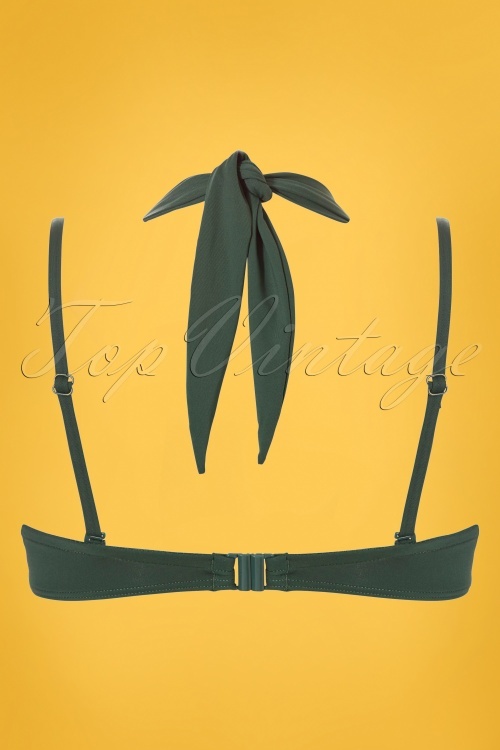 Made of a comfortable, stretchy fabric in olive green that is a joy to wear and fits perfectly. 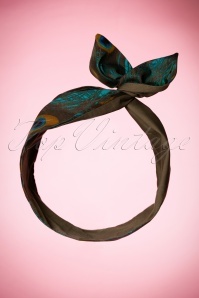 Stylish, feminine and comfortable... (TC) WOW!